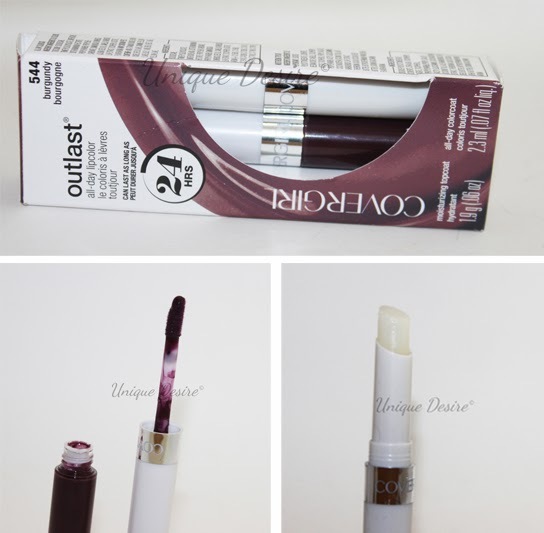 I recently started running out of my Loreal Infallible lip color and I was looking to try another brand of a similar product. Now if you don't know, these 24 hour lip colors are a bit different than your average lipstick. You MUST put it on completly bare lips, no lipstick, no chapstick, no nothing. Completley bare, otherwise it wont work. I used to think that I would just put some vaseline on to make my lips soft before putting it on, and it would come off in a snap. These also don't feel like a normal lipstick. It literally feels like you painted your lips. The way it drys is almost like rubber. And when it comes off, it peels off. It lasts through meals and kisses and all, which is why I prefer using this type of lip color versus lip stick or lipgloss. You MUST put it on completely bare lips, no lipstick, no chapstick, no nothing. Completely bare, otherwise it wont work. I used to think that I would just put some Vaseline on to make my lips soft before putting it on, and it would come off in a snap. These also don't feel like a normal lipstick. It literally feels like you painted your lips. The way it drys is almost like rubber. And when it comes off, it peels off. It lasts through meals and kisses and all, which is why I prefer using this type of lip color versus lip stick or lip gloss. The clear balm is to put on top after it dries so that you can "mush" your lips together, and it gives a nice glossy effect. Gorgeous look! 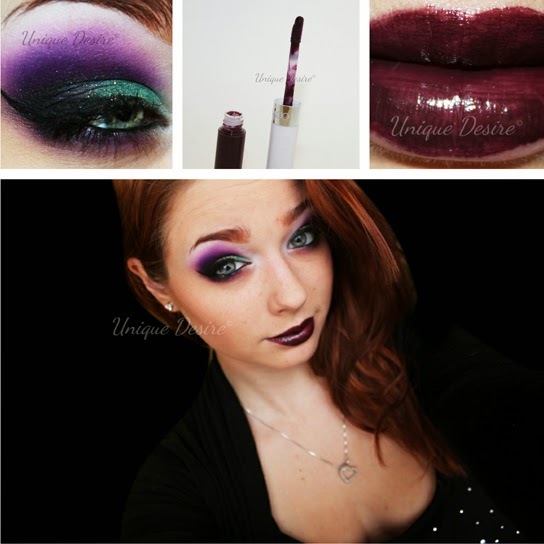 That lip color is so vampy!